Low flat fees & flexible payment plans. Affordable Chapter 7 and Chapter 13 bankruptcy guidance. 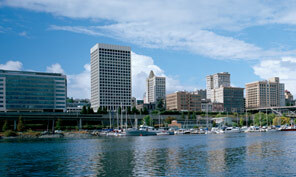 Our Washington State bankruptcy attorneys can help you to understand your debt relief options. Contemplating bankruptcy is about more than just potentially wiping out your debts. It’s about exploring your financial options and helping you put together an effective plan to either completely wipe out your bills or put you on a consolidated monthly payment plan that you can afford. Chapter 7 and Chapter 13 bankruptcy - which is the best option? The first option is accomplished through a Chapter 7 bankruptcy, which is an extremely powerful financial tool. Chapter 7 is also a relatively quick process that can be done about three to four months. The second option, where you pay down your debts through affordable monthly payments is called a Chapter 13 bankruptcy, and it can last from 36 to 60 months. Our knowledgeable Washington State bankruptcy lawyers can help protect your financial future. Regardless of the circumstances that put you behind the financial eight ball, seeking Washington State bankruptcy protection might be your best option. Whatever your situation, if you are visiting this website, you have taken the first step on the path to financial freedom. Let us help you determine if you can qualify for relief. This is where our University Place bankruptcy lawyers really shine. We know the Federal and Washington State bankruptcy laws. We can help you determine if you can qualify for bankruptcy protection, as well as maximize your relief under the code. Our University Place bankruptcy attorneys and debt relief lawyers are here to help you decide if bankruptcy is indeed the right choice for you. How can bankruptcy help you? Stop any scheduled foreclosure of your home. Stop those nasty creditors from calling your home. Stop any collections of qualifying debts. Stop any lawsuits or garnishment actions. Eliminate all credit card debts. Free initial consultation and financial qualification analysis. Give us a call now to learn more about your legal rights under the law. Talk to a University Place bankruptcy attorney today about your options and discover how our affordable low flat fees and flexible payment options make it easier. Get help and information now! To set up your free initial consultation, contact a bankruptcy lawyer serving University Place, WA from our team today!